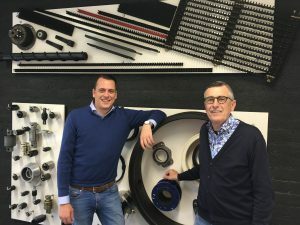 Following a period of intensive and painstaking preparation, Henk Rietdijk handed over his Lelystad-based business, RIS Rubber NV, to his son Wouter Rietdijk last year. The introduction of a new logo and corporate identity accompanies this transfer. 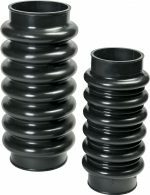 RIS Rubber set up business in Lelystad in the 1980s, with the manufacture of rubber products as its core activity, mainly the routine production of larger batches. In 1996, Henk Rietdijk, who had been working for the business since 1981, took over the company. From that time onwards, his main focus was on optimising processes and structures. He felt that such optimisation was necessary for the company to be able to initiate a gradual shift towards more complex products and niches. ‘The course I had in mind for the business was based on the desire to raise the company’s middle management and management to a higher level. And, parallel to these efforts, we have made substantial investments in technology and technological expertise, as well as a fully-fledged, high-quality research & development department’, says Henk. Over the past ten years, Wouter’s commitment to the business has steadily increased. Henk made a point of involving him in investments, strategic choices and the ins and outs of being an entrepreneur. The company take-over was prepared step by step behind the scenes and quite inconspicuously. ‘During this period we focused primarily on the take-over and the sustainability of the business, and now that we have secured that, we also want to show this progress to the outside world with our modern logo and corporate identity’. Wouter says that the optimisation process begun by his father will not be changed drastically. The demand for complex products is bound to increase and the organisation will have to continue to adjust to that. RIS Rubber, underpinned by ongoing investment in expertise and technology, wants to be involved in the development of customers’ products at an early stage as a partner who can make a difference. ‘And I am happy that Henk will continue to be associated with RIS Rubber as an adviser in the coming years; his knowhow and experience are invaluable to all of us’. 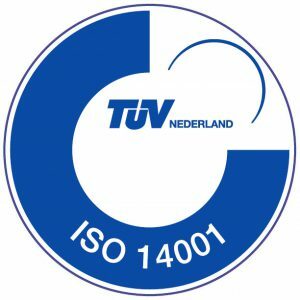 The business in Lelystad has a human capital of approximately 40 employees, and the manufacturing facility in Bulgaria employs 140 people and is controlled by Dutch management. While the business in Lelystad will continue with ongoing developments in the innovation and complexity of rubber-to-metal bonding in the coming years, the Bulgarian facility will be focusing on the implementation of more advanced technologies. The demand comes from your end; we have the knowhow and expertise. As for the solution… We create it together.